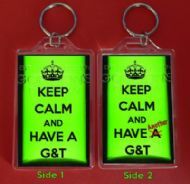 HAVE FUN and HAVE A MOJITO Fridge Magnet, just add to a bottle of Rum to make a Special Gift. 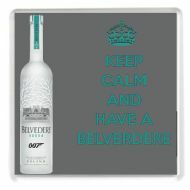 KEEP CALM AND HAVE A BELVEDERE Drinks Coaster with an image of a bottle of Belverdere vodka as drunk by James Bond 007 in the film Spectre. 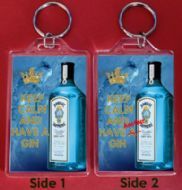 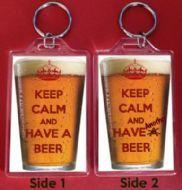 KEEP CALM AND HAVE A BELVEDERE Fridge Magnet with an image of a bottle of Belverdere vodka as drunk by James Bond 007 in the film Spectre. 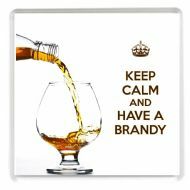 KEEP CALM and HAVE A BRANDY Drinks Coaster printed on an image of Cognac Brandy being poured into a Brandy Glass. 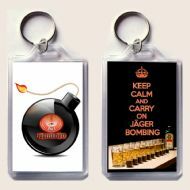 A unique gift for a Brandy Lover.